GroomingSmarter gives clipping and grooming tips with illustrations on trimming cocker: feet, ears, bevels, underlines, back, neck, head, and shoulders. Kohl, S., & Goldstein, C. (1973). 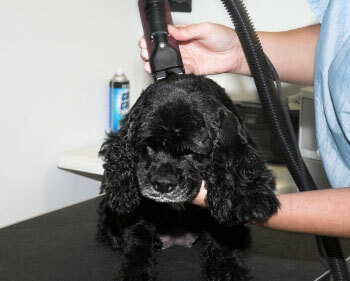 The all breed dog grooming guide. New York: Arco.